In ancient times it was called Tynes or Tunes Tunis. Sec. V BC Phoenician port was a small neighborhood in the suburbs of Carthage. After the Romans conquered Carthage Tynes name disappeared from the pages of history for nearly 1,000 years, reappearing only in Arabic script eighth century AD as „Tunis”. Tunis Arab birth is strictly related to building the Great Mosque of Olives in 732 AD In the nineteenth century Ibrahim ibn Ahmed rebuilt mosque in archetypal style gross Aghlabid. Main meeting halls ceiling is supported by 200 columns that survived the ruins of Roman Carthage. The second dome mosque, porticos, sis ala vaulted minaret was added later in the century. X. In palaces sec. XIII of Beille Hussein eastern suburbs of Tunis is one of the largest and richest museums in Africa, Bardo National Museum. 35 rooms and numerous halls expose the most important historical objects discovered in archaeological sites nearby. Museum itself is a beautiful example of Arabic architecture. Bardo Museum has the largest collection of Roman mosaics, exposed walls and floors. In mosques in Tunis only Muslims can enter. Great Mosque only allowed tourists from other faiths, in a certain time frame. Foreign women must not be stacked too loose in public, particularly near mosques. 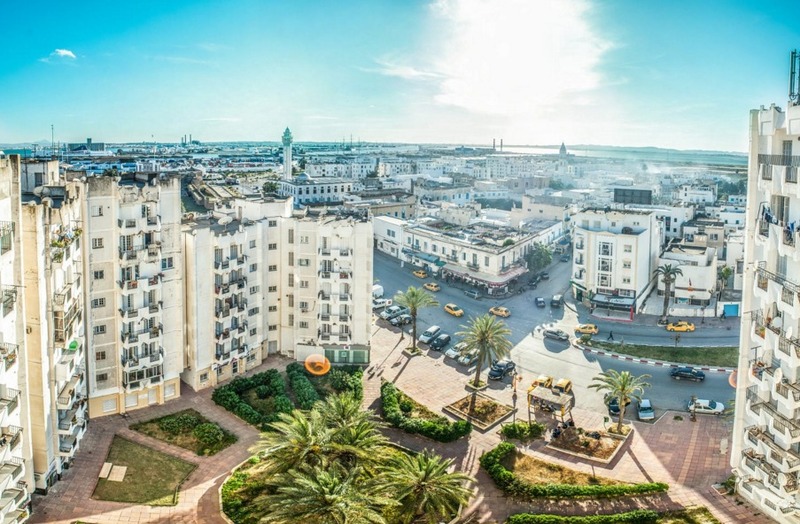 Medina, the oldest preserved neighborhood of Tunis, entered in the UNESCO World Heritage. Ceantrala building is the Great Mosque of Medina, where all streets start. Another building as impressive Medina is Tourbet Aziza Othman, Princess Aziza century mausoleum. XVIII. On the left side of the Grand Mosque are libraries Street (Rue des Librairies) three scolli Qur’an (madrasah) century. XVIII, which operates over 200 years. In cafes and bars in Tunis are served only two types of beverages.One is black tea with the consistency of a syrup, served with sugar and fresh mint. The other drink is a strong Turkish coffee and sweet, served only in white cups. Tourbet El Bey mausoleum Dynasty Princess Hussein, it is an example of old Tunisian architecture. The roof is tiled domes green type „fish scales”. The tomb was built in the first half of the century. XVIII, during the reign of Ali II and is the final resting place for many drinking, princesses, ministers and members of the judiciary. The sarcophagi were decorated with marble sculptures and the deceased’s favorite shawl, a turban and a fez. Status of the person can be deduced from the number of tassels on the hat of stone. Ville Nouvelle ( „New Town”), built by the French during colonial times is completely different from Medina. District has a European character and resemble cities in southern France. Ville Nouvelle is the center of government and commercial capital. The most impressive examples of colonial architecture includes the Cathedral of St. Vincent de Paul in Independence Plaza (Independence Square), an interesting mix of styles Gothic, Byzantine and Mauritania. 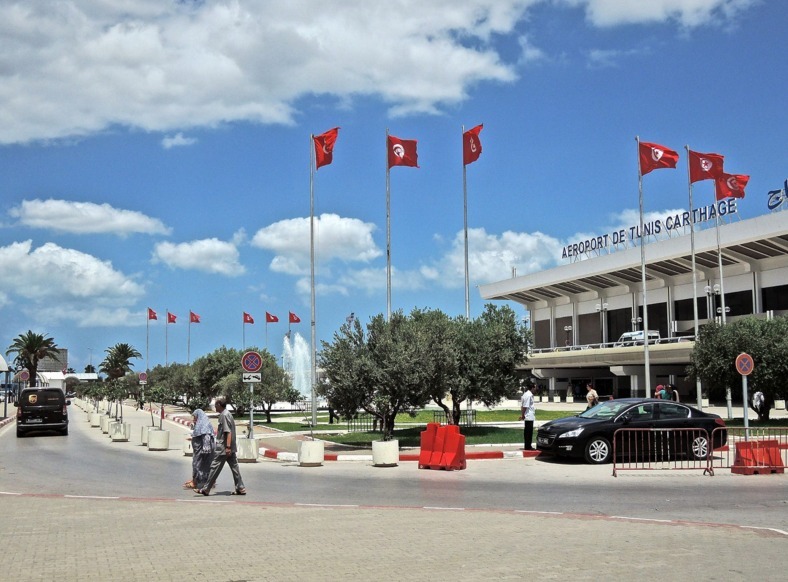 Tunis is Tunisia’s economic and financial Cetra. In the city there are numerous chemical plants, concrete, textiles, oil and fishery products, and steel mills and glass factories. However, the most important port, connected with many sectors of the economy. Tourism and tourism-related crafts bring significant revenues for the city. Tunis is annually visited by 5.5 million foreign tourists and 60% of employed residents work in tourism. 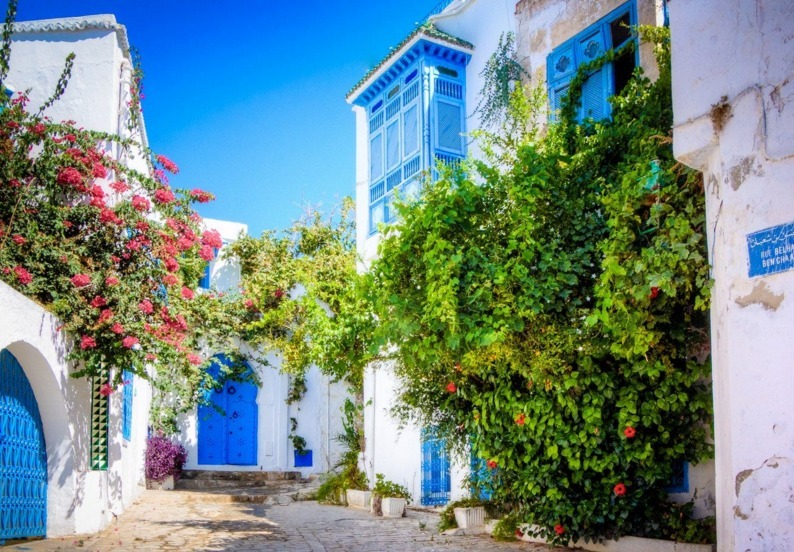 Tunisia has a Mediterranean climate – yearly precipitation of 400 mm. The coldest period is between December and March, with an average daily temperature between 7 and 18 degrees Celsius. From June to September temperatures range between 16 and 32 degrees Celsius.In Tunis hot summers and mild winters. During the day the temperature varies greatly due to its location in the desert city. On top of the hill Byrsa of Carthage (a city – ancient state, now in the suburbs of Tunis), near the Cathedral of St. Louis, is a museum surrounded by a beautiful park. The Archaeological Museum has a unique collection of Punic periods, Romanian and Christian North Africa. Behind the park there is an area with buildings Punic foundations. Beyond this, there is a terrace overlooking the Gulf of Tunis. North of the museum is the Theater of Hadrian century. II, which was the restaurant and behind it is a narrow road that leads to Baile Antonius best preserved fragment of the complex. The few who survived the destruction of the Roman foundations in 146 BC and devastation by the Vandals in 139 AD, gives us an idea of ​​how impressive was Carthage. Due to effectuate excavations in Carthage in sec. XIX know that jnurul port wall had a length of 32 km. Ethnography and Folk Art Museum, located in an eighteenth century palace with the largest collection of folklore, ie Tunisian clothing. Hill Nordic Tunis, turned the French in Belvedere Park. Currently, there is a zoo and a popular café with a lacustrine island. Historical Complex in the Central Souk Grand Mosque, divided into 5 sections: Market Fragrance, sails Market, Market Women, Silk Market and Turkish Market. La Goulette old fortified town located 15 km north of Tunis, once a pirate stronghold and one of the largest cities of Hebrew in Tunisia. Exclusive suburb of Tunis, La Marsa, once inhabited by drink. Currently palaces host European diplomatic missions and embassies. Sidi Amir barracks belonging to one of five military complex built by Hammouda Bey. 1979-1990 – the city became the headquarters of the Arab League.